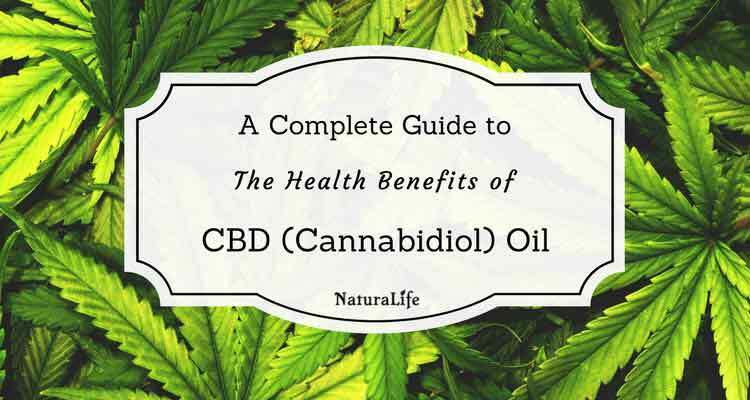 CBD oil is a natural remedy that boasts an incredibly wide range of health benefits. But like with any popular remedy, there’s a lot of misinformation out there. Brands will claim CBD is some magical cure-all for essentially everything. Some claims are true, whereas others… well, they’re completely off-base. The point is, if you want to take advantage of the real benefits of CBD oil, you need to separate fact from fiction. You also need to learn how to identify low quality CBD products, so you don’t get swindled by an ineffective and potentially harmful product. It can be a lot to take in. So I took a deep dive into the research to find all the evidence-based benefits of CBD oil; along with everything else you need to know about its use. CBD, or cannabidiol, is one of over 100+ different naturally occurring compounds found in both hemp and marijuana (cannabis). Collectively these compounds are called cannabinoids. Until recently, most people focused on the cannabinoid THC which is found in marijuana. It’s the compound that’s infamous for cannabis’s snack-binging high. But now scientists are shifting their attention to the other cannabinoids. Most of which have no psychoactive effects. Meaning they won’t get you high. So why are they focusing on other cannabinoids? Studies have found that cannabinoids have serious therapeutic potential. And the most well-studied of them all is CBD. Following this discovery, companies developed full-spectrum CBD extracts. These extracts mainly consist of CBD. But they also contain several other beneficial cannabinoids and terpenes that synergize with CBD. There are now countless CBD oil tinctures, balms, vape oils, and even gummies found on the market. In all honesty, scientists are still hard at work trying to figure out exactly how CBD affects the body. There are plenty of studies that show all the potential benefits of CBD. The challenge is making sense of how CBD produces these effects. Current research suggests that CBD targets a variety of receptors in the body, inhibits FAAH (an enzyme), inhibits proinflammatory cytokines, and acts as a powerful antioxidant. The other cannabinoids found in full-spectrum CBD oils are also known to stimulate the endocannabinoid system. If all that science jargon went over your head, just know this: the cannabinoids in CBD oil can help your body stay in balance (maintain homeostasis) by affecting various systems in the body. This is why CBD has such a wide variety of benefits. If you’re really into biochemistry, you can click the box below to get a detailed overview of the biochemistry of CBD. Inhibits the FAAH enzyme which breaks down the endocannabinoid anandamide. This, in effect, increases anandamide levels in the brain. Studies call this phenomenon endocannabinoid tone (1). Inhibits the activity of cytochrome P450, which may make it interact with many drugs (2). Inhibits adenosine uptake and proinflammatory cytokines (TNF-α, IL-6, IL-1β). An allosteric modulator of your opioid receptors—this is how it reduces pain (3). Acts as a potent antioxidant and free radical scavenger; stronger than Vitamin C or E (4). Acts as an antagonist at the cannabinoid receptor called GRP55. This counteracts the paranoia and anxiety-inducing effects of THC. Not much is known about the metabolites of CBD. The most common metabolites include hydroxylated 7-COOH derivatives (5). For severe or chronic pain, many doctors prescribe opioid painkillers. The problem is, opioid painkillers such as hydrocodone are extremely addictive, and they have psychoactive effects that make it difficult to function. Opioids also lose their effectiveness over time—they develop something called an analgesic tolerance. As a result, opioids are far from ideal. CBD oil, on the other hand, can effectively manage chronic pain without causing addiction. One study published in the Journal of Experimental Medicine, for example, found that CBD suppresses inflammatory and neuropathic pain in rodents (6). The scientists also observed that unlike opioids, your body does not develop a tolerance to cannabidiol over time. Another scientific review found that CBD was effective for pain management without negative side effects (7). It’s theorized that CBD reduces pain by promoting the signaling of the adenosine receptor A2A. Among other things, this receptor is shown to strongly inhibit the sensation of pain (8). The scientific review also noted that CBD is particularly helpful for pain that interferes with your sleep. Evidence suggests that CBD can provide significant relief from pain by reducing inflammation and affecting the A2A adenosine receptor. When your body is chronically inflamed, it can cause countless problems. This includes leaky gut syndrome, heart disease, autoimmune disease, skin problems, increased pain, and so much more. And the thing is, chronic inflammation is becoming an increasingly common problem. Poor eating habits, environmental toxins, and lifestyle choices are mostly to blame for the rampant chronic inflammation plaguing our world. Luckily, research shows that CBD oil is an effective remedy to reduce chronic inflammation that leads to disease. Modulate your body’s inflammatory response and reduce the symptoms of inflammatory disease. It does this by inducing apoptosis in activated immune cells, suppressing cytokines and chemokines at inflammatory sites (9). Reduce intestinal inflammation and oxidative damage to the gut (10). Promote signaling of the adenosine receptor A2A (explained earlier), which produces an anti-inflammatory effect (11). Full-spectrum CBD supplements also contain other cannabinoids and terpenes that can regulate inflammation (7). Cannabichromene, for example, is a prevalent cannabinoid that has anti-inflammatory properties (12). Research shows that the cannabinoids in CBD can effectively reduce inflammation by suppressing cytokines, signaling A2A receptors, and protecting the body from oxidative damage. According to large population-based surveys, up to 33% of people suffer from anxiety at least one point during their lifetime (13). That’s one out of every three people! The good news is, research shows that CBD oil is tremendously effective for treating anxiety and stress. One study, for example, found that cannabidiol (CBD) effectively combatted anxiety, obsessive compulsive disorder and PTSD (14). The study authors also noted that CBD was especially effective for treating social anxiety. CBD significantly decreased cortisol, a stress hormone, in human volunteers (15). Endogenous cannabinoid signaling is essential for stress adaptation (16). Cannabinoids stimulate the endocannabinoid system. Downregulation of endocannabinoid signaling increases chronic stress (17). CBD found to help chronically stressed mice (18). CBD Oil is tremendously effective for treating anxiety and stress due to its effect on the endocannabinoid system. It’s also shown to help social anxiety and PTSD. Do you ever wake up in the morning so tired that you have to pry your eyelids open just to stay awake? You’re not alone. More and more people are waking up in the morning feeling completely exhausted. Part of the reason is that screen time at night is destroying your circadian rhythm. There’s also plenty of other things, like excessive stress, that are reducing the quality of your sleep. This is why most people turn to sleep-aid drugs or melatonin. But I strongly advise against taking these unless it’s absolutely necessary. Because they aren’t long-term solutions. They cause your body to become dependent on them for sleep and they can leave you feeling groggy in the morning. With this in mind, CBD is one of the best natural remedies out there to help you sleep. It’s effective and doesn’t cause a dependency. The endocannabinoid system controls important functions of sleep including cortical up-states and NREM sleep (19). Cannabinoids like CBD upregulate the endocannabinoid system which could mean better sleep. CBD can increase total sleep time and reduce the time it takes to fall asleep in rodents (20). A systematic review found that CBD can effectively treat insomnia (21). CBD was found to improve sleep in a girl with post-traumatic stress disorder (22). When you take low doses of CBD, it can actually increase your wakefulness and focus. So, if you’re looking for the sleep-inducing effects of CBD, you should consider higher doses. 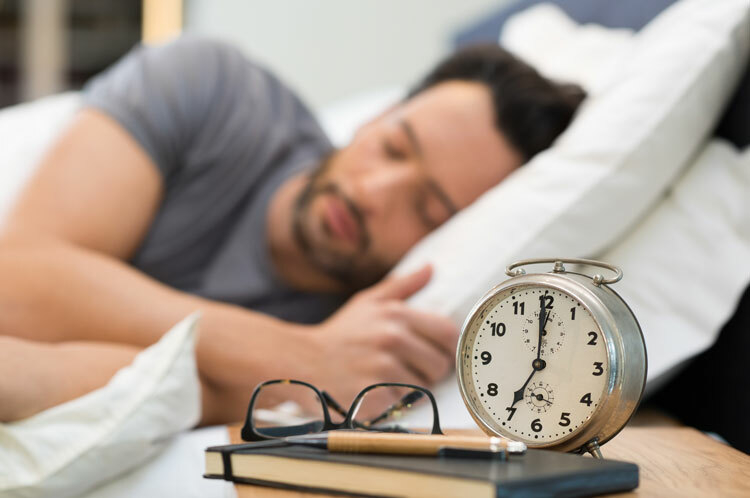 You can even get better sleep if you combine CBD with a high quality magnesium supplement at night. Everyone is different, so it may take some experimentation to figure out what’s best for you. Studies show that higher doses of CBD oil taken at night can improve the efficiency and quality of your sleep. It can also help you fall asleep quicker. The cannabinoids found in CBD oil can also be an effective muscle relaxant. This means they can help ease tense muscles and alleviate muscle spasms. Cannabigerol, a cannabinoid found in CBD oil, inhibits the uptake of an important neurotransmitter called GABA (7). In turn, this can alleviate muscle tension and spasms. Other studies have found that CBD is effective for reducing muscle spasms associated with multiple sclerosis (23). As explained earlier, CBD can also regulate inflammation and reduce pain. Both of which are important factors for relaxing tense muscles. Research suggests that the cannabinoids found in a full-spectrum CBD oil can reduce muscle tension and spasms by inhibiting GABA uptake. Most people can grit their teeth and endure moderate amounts of pain. But nausea is a completely different beast. When nausea hits, it makes you feel completely useless—bound for the couch… or toilet. The problem is, there are very few natural remedies out there that actually help nausea. This is where CBD comes into play. CBD is incredibly effective in treating nausea. It’s why I try to keep it on me at all times in case I eat something that upsets my stomach. But don’t take my word for it. 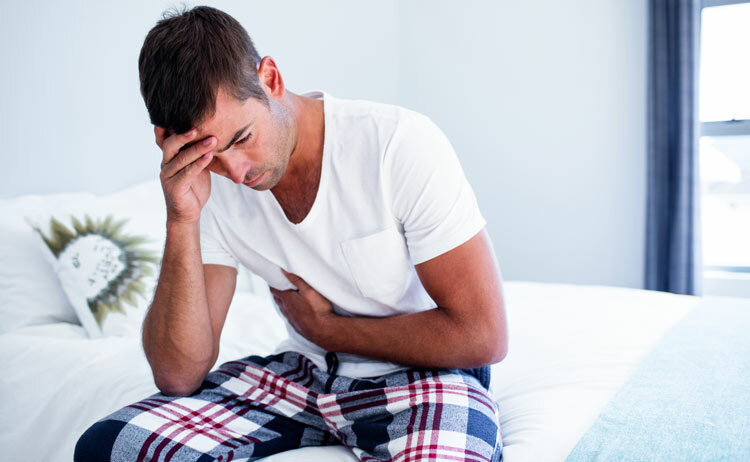 Research has found that CBD can both reduce nausea and control vomiting (24). It’s so effective that researchers proposed that it could be a treatment for nausea caused by chemotherapy. Evidence suggests that CBD can both reduce nausea and control vomiting. Emerging evidence also suggests that CBD oil can help take the edge off of depression. For depression, CBD oil works in a similar way to antidepressant drugs called SSRIs (selective serotonin reuptake inhibitors). But CBD oil doesn’t have the unpleasant side effects that SSRIs do. CBD activates 5-HT (1A) receptors in the brain (25). This is huge since scientists have linked 5-HT (1A) receptor dysfunction to major depression (26). This receptor modulates serotonin—a key neurotransmitter that controls your mood. And when you don’t have enough serotonin floating around in your brain, your mood crumbles and depression can follow. CBD works in a similar way to SSRI antidepressants but with fewer side effects. More studies are needed to be sure of this effect. The evidence that’s out there suggests CBD can help your body fight off cancer. But there’s still not enough research to say it’s a cure for cancer by any means. Don’t let that deter you though. The studies that are out there on CBD oil for cancer are quite promising. One study, for example, found that CBD significantly inhibited the growth of breast tumor cells (27). The scientists running the study even noted that CBD extracts may be a potential treatment for cancer. Studies mentioned by the National Cancer Institute have also found that CBD can inhibit the spread of lung cancer cells (metastasis) and protect against colon cancer (28). Several studies have found that CBD can inhibit the spread of cancer cells and their growth. Perhaps one of the more surprising benefits of CBD oil is its ability to alleviate skin conditions like acne, dry skin, and eczema. 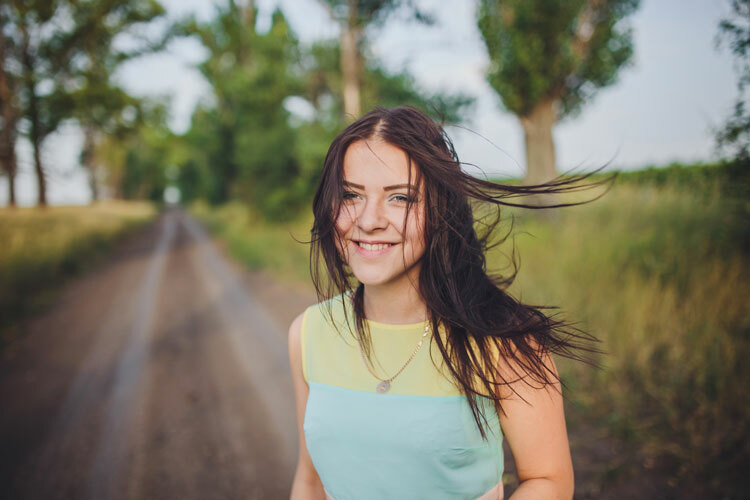 Along with the countless other functions of the endocannabinoid system, scientists have recently discovered that it also plays a role in skin health. Specifically, it controls how your skin cells proliferate, which cells survive, and even how your immune system interacts with your skin cells (29). Since cannabinoids like CBD stimulate the endocannabinoid system, you can expect to experience healthier skin. Especially if you have what’s called an endocannabinoid deficiency—when the system is sluggish. CBD was found to be a viable treatment for acne due to its ability to fight inflammation and reduce the production of sebum, which is a common culprit of acne (30). A scientific review showed how cannabidiol and cannabigerol (another cannabinoid) can alleviate psoriasis (31). The same review also found that the cannabinoid called PEA can help contact dermatitis, dry skin, and eczema. CBD also helps those who have problems with severely itchy and dry skin (32). Research has found that the cannabinoids found in a full-spectrum CBD oil can relieve a wide range of skin conditions such as eczema, dry skin, or psoriasis. And even the evidence that’s out there supports their claims. One small report, for example, found that of 19 people who tried CBD oil for epilepsy, 11% reported complete freedom from seizures, 42% experienced an 80% reduction, and 32% reported a 25-60% reduction in seizure frequency (33). Another larger study with 171 participants found that cannabidiol reduced the frequency of seizures by a whopping 41% (34). If that didn’t convince you for some reason, watch the video above if you haven't already. It features a medical doctor talking about how CBD oil helps people with an often-deadly disease called dravet syndrome. Early evidence and a clinical trial suggests that CBD is effective for reducing the frequency of seizures. Schizophrenia is a mental disorder that involves a degradation of thought, behavior, emotion, and perception that results in a disconnect from reality. It ultimately affects how a person thinks, feels, and behaves. Schizophrenia can be a life-changing mental disorder. Unfortunately, antipsychotic medications prescribed by doctors have mixed results and come with an unpleasant list of side effects. 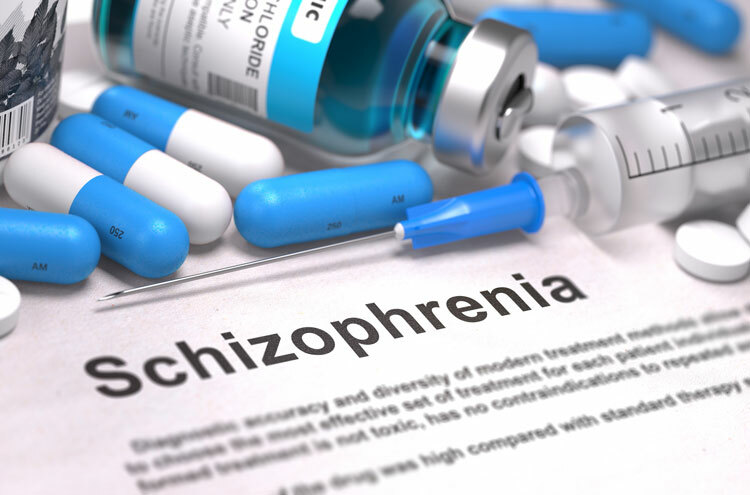 Research suggests that CBD oil is a promising treatment for schizophrenia without all the side effects of antipsychotic drugs. One clinical controlled trial, for example, found that CBD significantly reduced the symptoms of schizophrenia and improved cognitive performance (35). Another review looked at 30 years of research and concluded that CBD should be strongly considered for the treatment of schizophrenia (36). Scientists have found that CBD can reduce the symptoms of schizophrenia and improve cognitive performance in those who have the mental condition. Oxidative stress plays a massive role in the development of disease and countless other health issues. That’s because oxidative stress damages cell tissues and DNA. This damage, among other things, can lead to diseases like cancer, heart disease, chronic inflammation, and much more. That’s why preventing oxidative stress or damage is a critical aspect of living a healthy life. You can reduce the effects of oxidative stress by consuming antioxidant-rich foods like berries, green vegetables, and fruit. But emerging evidence also suggests that CBD oil is effective at protecting your body from oxidative damage (37). It’s so effective that researchers are even beginning to explore the use of CBD to treat diseases associated with oxidative stress. This includes diseases such as arthritis, diabetes, Alzheimer’s disease, and depression. CBD oil is a powerful antioxidant. Researchers are exploring the use of CBD for treating diseases related to oxidative damage. As explained earlier, CBD oil can both fight inflammation and protect your body from oxidative stress. 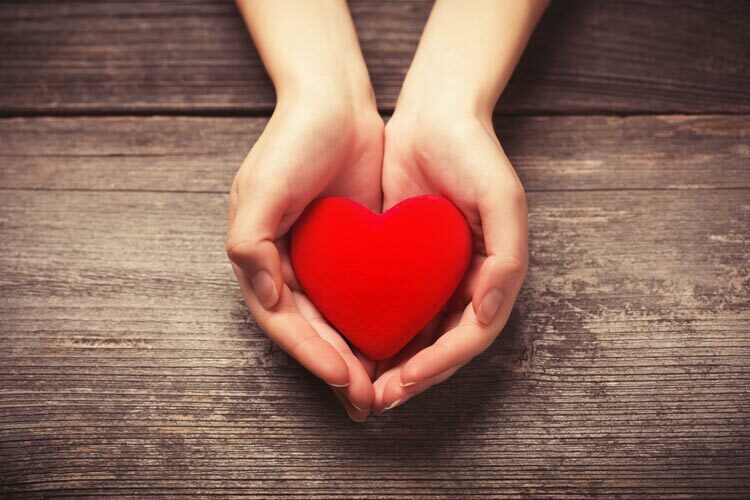 Both of which are factors that can significantly affect your risk of developing heart disease. Research also suggests that CBD oil can protect your arteries from getting damaged. When your arteries become damaged, it can lead to a buildup of plaque which can increase blood pressure or even lead to a heart attack (38). There’s also evidence that CBD oil can help your arteries relax, meaning it can regulate high blood pressure (39). CBD can keep your heart healthy by regulating blood pressure, protecting your arteries, and reducing inflammation. 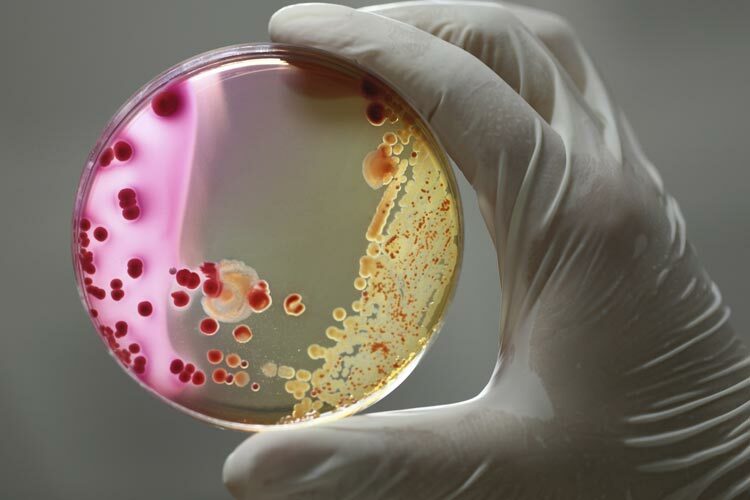 Drug-resistant bacteria like MRSA (methicillin-resistant Staphylococcus aureus) are becoming a huge problem. As their name suggests, these bacteria are resistant to most antibiotics. So when they cause an infection, doctors have a hard time treating it. Scientists have found that cannabinoids, including CBD, can fight stubborn drug-resistant bacteria (40). Several other studies also illustrate that cannabinoids are effective weapons against a wide variety of bacteria—not just drug-resistant strains (41). The thing is, scientists still have no idea how cannabinoids kill off drug-resistant bacteria. While this evidence is promising, more research is needed to find out how cannabinoids fight bacteria. Until then, manuka honey seems like a better option for naturally fighting off infection. Cannabidiol oil may have antibacterial properties that allow it to kill off drug-resistant bacteria. But more studies are needed to be sure. CBD oil may also be effective for fat loss (42). It helps with fat loss by lowering insulin levels in the body. When you consume carbs or any form of sugar, your pancreas releases insulin and glucagon. The key piece of information here is that insulin stores the sugar in your bloodstream as fat. By decreasing the levels of insulin your pancreas produces, it effectively prevents you from packing on the pounds. This is also why CBD is suggested to alleviate or prevent the progression of type II diabetes (43). CBD can help you lose weight by decreasing the amount of insulin your pancreas produces. This causes your body to store less fat. Addiction is like a toxic love affair. It’s magnetic, yet completely self-destructive. Whether you would like to admit it or not, we are all addicted to something. We all have our vice—it could be social media, drinking, caffeine, Netflix binging, or something even more serious like drugs. No matter what your addiction is, evidence suggests that CBD oil can help you cope. 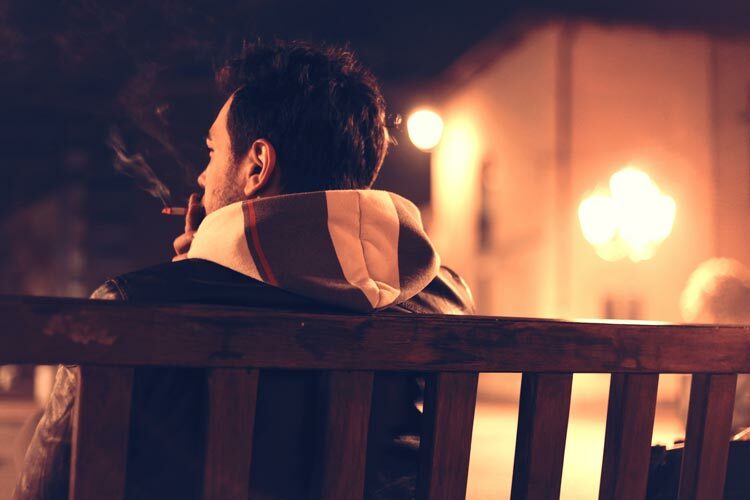 One study, for example, found that smokers who supplemented CBD had an easier time smoking fewer cigarettes compared to those who didn’t take CBD (44). Another study found that heroin addicts who took CBD had diminished cravings (45). CBD helps curb addictions and cravings because it indirectly excites dopamine neurons in the mid-brain. This is huge since low dopamine levels are usually seen in people with addiction problems (46). So, when cannabidiol stimulates dopamine production, it results in increased motivation, healthy decision making, and an improved mood. CBD can also help aid your battle against addiction by alleviating stress, anxiety, and depression (47). So whether you’re trying to break a less severe addiction (e.g., smartphone addiction—yes, it’s real) or a more severe addiction like smoking, CBD could be a huge help. Research suggests CBD oil can help reduce the cravings associated with addictions like smoking or drugs. There’s no denying the fact that autoimmune disease is becoming a huge problem in our society. While there may be several reasons behind this surge of autoimmune disease, scientists have noticed that the endocannabinoid system isn’t functioning as it should in people with autoimmune disease (48). The good news is, cannabinoids can help improve the function of the endocannabinoid system. In theory, this could help improve autoimmune disease. Rest assured, this connection goes well beyond theory too. Studies have discovered that CBD can help with TH17-dominant autoimmune disease (49). This includes diseases like Hashimoto’s, Grave’s, and rheumatoid arthritis (50, 51, 52). In studies with rats, the same was found to be true with TH1 and TH2 dominant autoimmune disease (53). Due to the effect CBD has on the endocannabinoid system and immune system, evidence suggests it can alleviate autoimmune disease. There is absolutely no evidence out there that CBD is addictive. Not a single study has noted that CBD has any addictive properties. Also, most addictive substances have psychoactive effects—meaning they give you a pleasurable high. CBD has no psychoactive effects. And to put the nail in this coffin once and for all, an extensive report by the World Health Organization (WHO) concluded that CBD is completely non-addictive and there’s no evidence of recreational abuse (54). And since CBD can help curb addiction, there really shouldn’t be any concern here. Note: This does not constitute as legal advice. If you get the CBD oils I recommended on this page, it’s completely legal. For CBD oil to be considered legal in the United States, it needs to contain less than 0.3% THC. I checked the lab results for the CBD oil products I recommended and made sure they all met this criterion. There are a ton of companies out there that sell CBD products. But very few of them are safe, effective, and high quality. Because it can be really difficult to find the right brand, I compiled a list of the absolute best CBD oil brands. To buy the CBD oil, simply click that link, find the brand that fits your needs, and make the purchase. CBD is generally well tolerated and considered completely safe (56). While CBD oil is generally regarded as safe, there still needs to be more research on the long-term chronic use of CBD to be sure. CBD is shown to interact with cytochrome P450 which is a family of liver enzymes. The problem is, cytochrome P450 metabolizes a large percentage of the pharmaceutical drugs we consume. That means CBD can impede the metabolism of certain drugs and potentially result in higher levels of the drug in the bloodstream. One clinical study, for example, gave CBD and an anticonvulsant medication called clobazam to children with epilepsy (57). The scientists found that CBD increased the concentration of clobazam in the blood. As a result, they had to reduce the dosage of clobazam. The take-home point here is that if you’re taking any prescription drugs, it’s important that you talk to your doctor before taking CBD oil. That way they can adjust your dosage if necessary. In case you were curious which drugs are metabolized by cytochrome P450, here’s a list from the Indiana University Department of Medicine. There are many ways to take CBD oil. Each method has its pros and cons. So I broke the methods down to help you out. CBD Tinctures: This is the most popular delivery method. The advantage of tinctures is that they are easy to consume (just take a few drops). They are usually the most affordable as well. The downfall of tinctures is that they aren’t absorbed as well as vape oil. CBD Vape Oil: As the name suggests, this allows you to vape CBD. This method has the best bioavailability, meaning you get more benefits from a smaller dose. With vape, the CBD rapidly enters your bloodstream, so it has a near-immediate effect. The cons are that some people don’t like the idea of vaping or putting questionable chemicals into their lungs. CBD Gummies: They are a bit whimsical, but they still do the job. These are ideal if you can’t stomach the taste of CBD tinctures. They also are handy for traveling. CBD Balm: If you have muscle tension or pain, CBD balms are the best option. But if you’re taking CBD for anything systemic or internal like anxiety, inflammation, or depression, I would choose another form. Liposomal CBD: Specifically designed to be water-soluble so your body absorbs the CBD with ease. Some people claim this method works better, while others say the opposite and prefer tinctures. If you are stumped between liposomal or a tincture, your best bet is to try both. Unfortunately, it’s impossible to give you an exact recommendation because CBD affects everyone differently. Your best bet is to start with the recommended dose on the bottle and then slowly work your way up from there. Eventually, you will find your perfect number. Just make sure you don’t jump up in your dosage too quickly. Sometimes excessive amounts of CBD can have less of a therapeutic effect as odd as it may sound. First of all, CBD oil is made with hemp. Hemp only contains miniscule amounts of THC. You would have to ingest an insane amount of hemp just to get an effect. Second, most CBD oils you get in the United States are below 0.3% THC levels. Higher quality brands will contain next to none. This means no high and no failed drug tests. But if you don't believe me, you can even take some CBD and pick up your own saliva drug test to be sure. 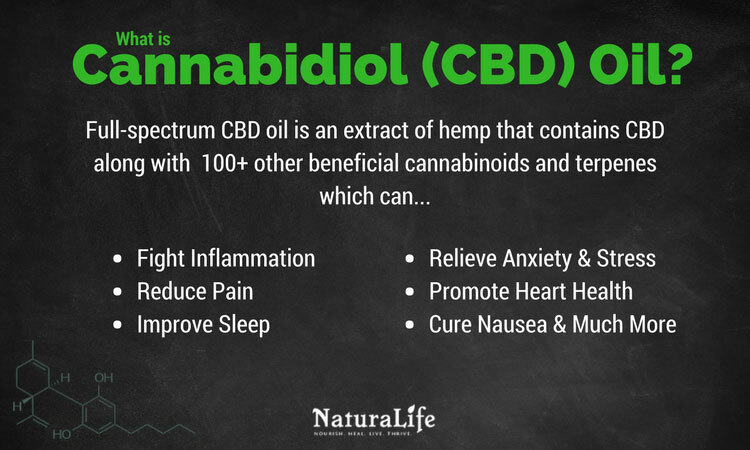 CBD oil is an incredible natural remedy with the potential to completely transform your health. It can fight inflammation, anxiety, acne, cancer, and even help you sleep through the night. The benefits are seemingly endless. And as you read this, scientists are still discovering more. The wide range of benefits are partly due to the fact that full-spectrum CBD oil modulates your endocannabinoid system—a complex system of receptors that helps your body maintain homeostasis. To take advantage of CBD’s benefits, however, you must be sure you select a high quality CBD oil product. Many brands out there are contaminated with pesticides, chemical additives, heavy metals, and processed in such a way that your body doesn’t absorb the CBD. So you really need to be careful. Feel free to view my list of the best CBD oils as found at the top of the page if you’re looking to order some.